I try to keep my skin looking the best I can with potions and lotions , though if it’s the time of the month everything goes out the window and it’s just a battle between me and spot city. My morning routine consists of firstly stumbling to the kitchen and making some kind of caffeinated beverage in one of my favourite mugs and probably grunting some form of communication to my husband. Once in the bathroom, hair piled on top of my head, I like to use a cleanser on dry skin massaged in and wash off with lukewarm water and muslin cloth. 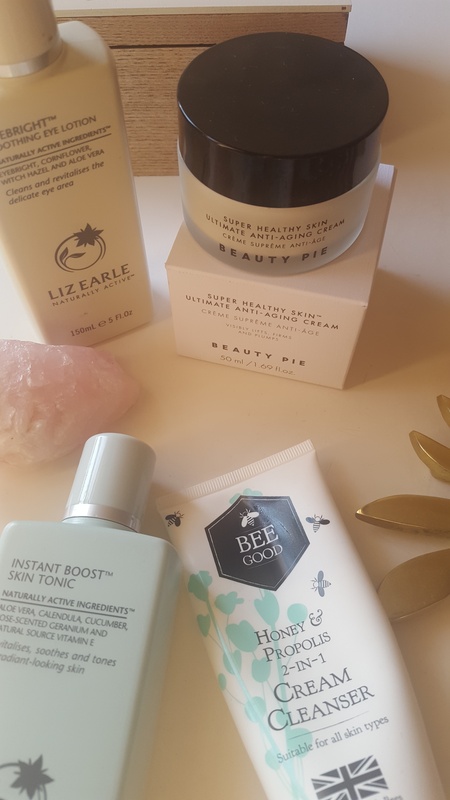 Liz Earle Cleanse and Polish hot cloth cleanser is a long time fav but currently trying out bee good cleanser as it’s does a lot to support ethical British bee farming. I then pat it my face dry and wet a cotton wool pad with Liz Earle Instant Boost Skin Tonic and swipe it all over and its fine for eye lids too , which helps smooth, tone and gets rid of an extra stubborn eye makeup from the night before. If I’m having one of those mornings where I even went to bed super late or woke up at a crazy time I like to use the Liz Earle Soothing Eye Bright Lotion . Soak two cotton pads and place on eyes for 30 seconds and helps wake up the eye area and add a little extra hydration. 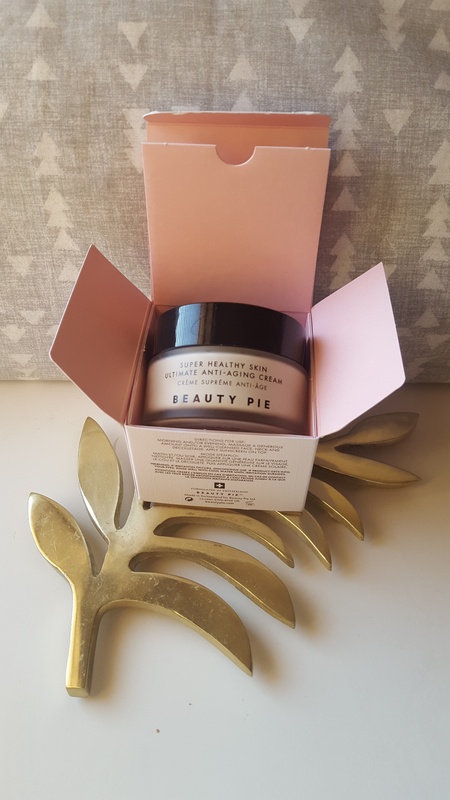 I then use my beauty pie Super Healthy Skin Ultimate Anti-Aging cream all over my face and neck, I’ve been using this for around a month and oh wow its brilliant. Its so good for my skin, its help keep the dry bits hydrated and the oily bits less oily ?!? how it does it I have no idea but my pores are defo less visible then before and it has an amazing but not over powering smell to it. I normally let my skin care sink in for about 20 mins before applying make up and try and drink lots of water/tea through the day to stay hydrated.